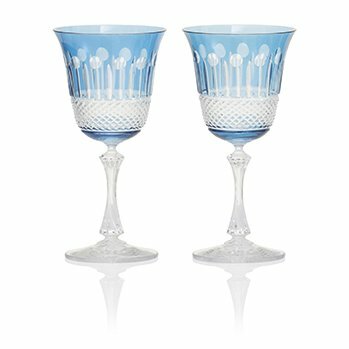 Unique, handcrafted wedding gift ideas to commemorate a special day. 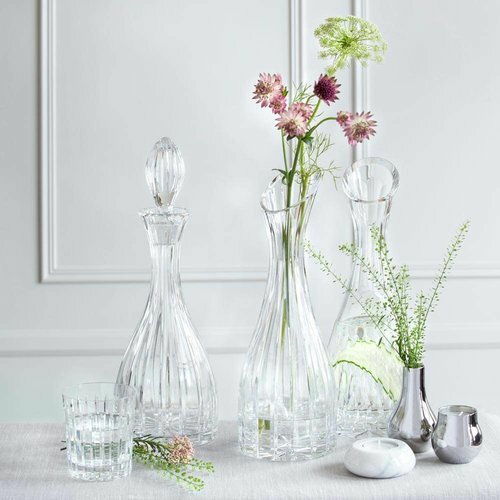 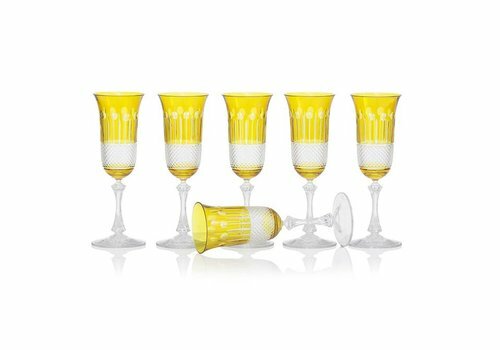 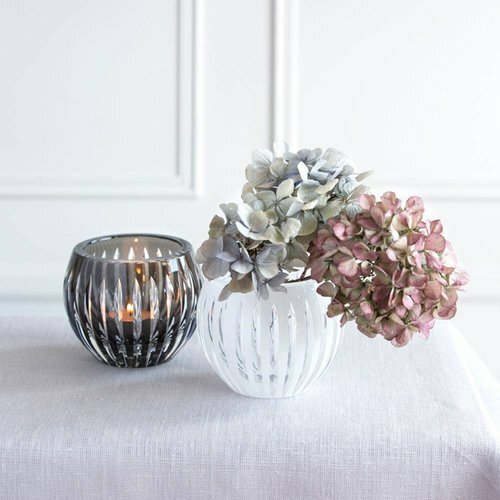 Shop luxury glassware, opulent decanters and special table decorations including vases, candlesticks and more for the luxury home. 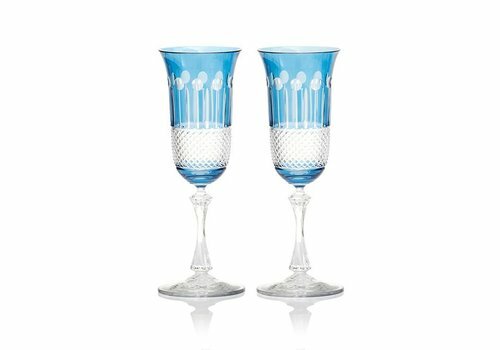 Set of two sky blue wine colored crystal glasses. 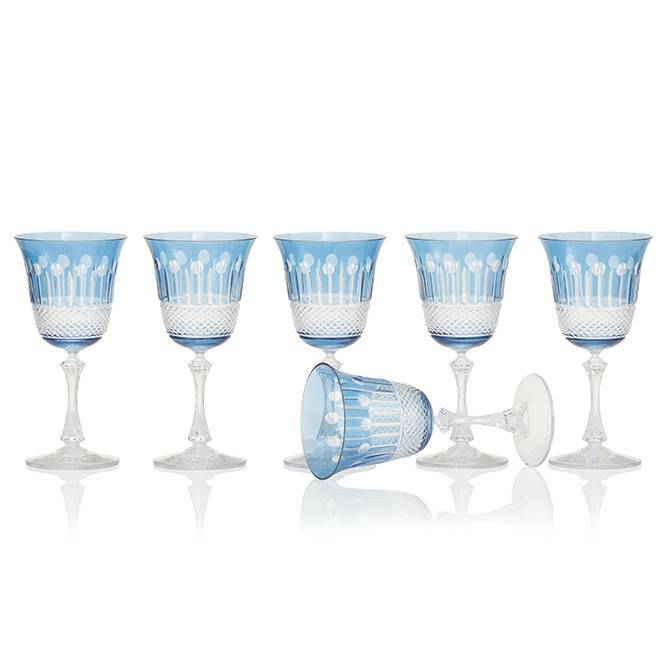 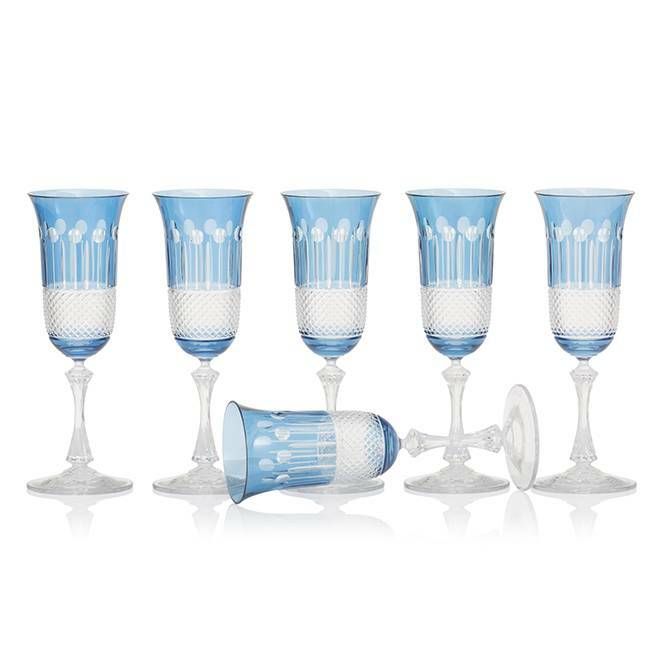 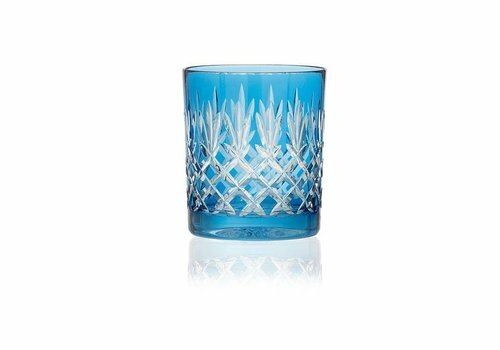 Representing handmade, 24% lead crystal, these powder blue glasses will accessorize both traditional and modern interiors and will be the desired choice as a wedding gift. 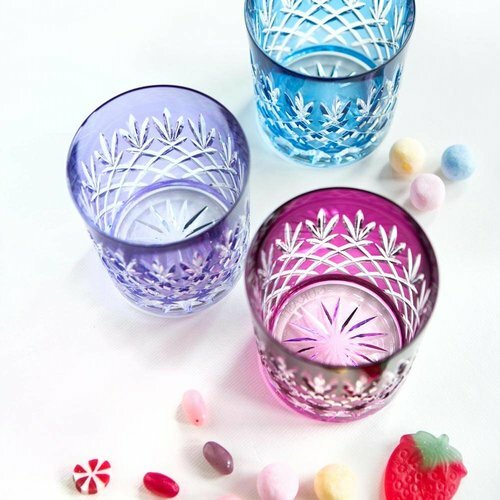 This mouth-blown delicate glass made of lead-free crystal is part of Gurasu new collection of vintage cocktail glassware. 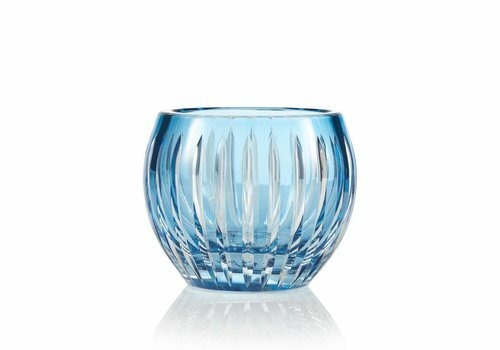 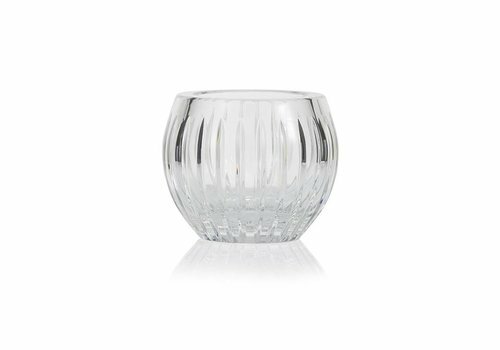 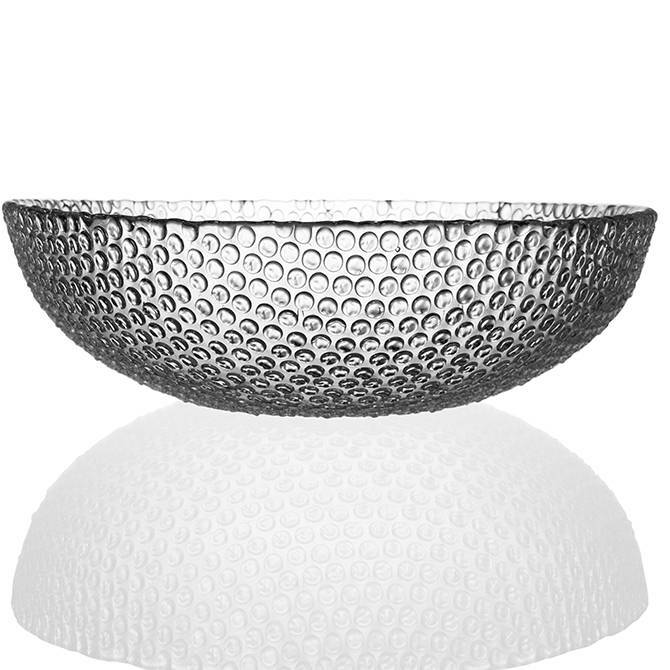 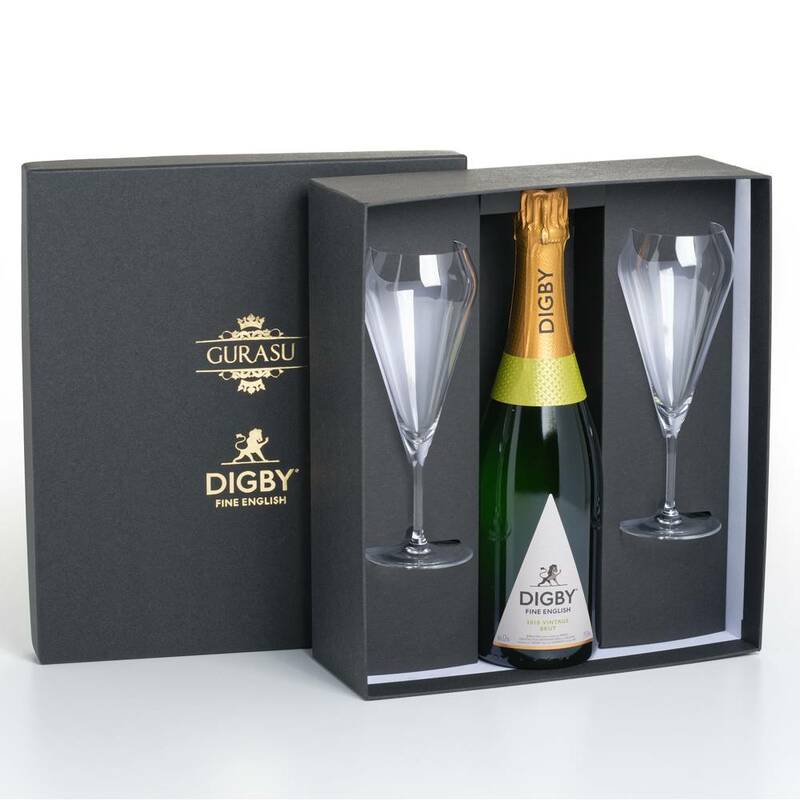 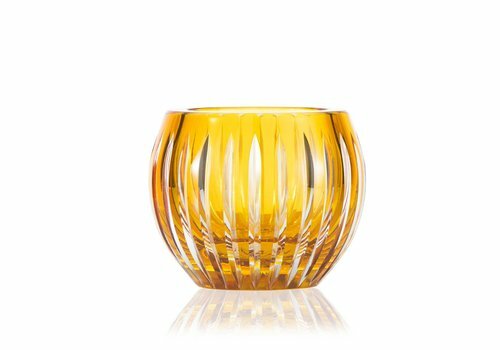 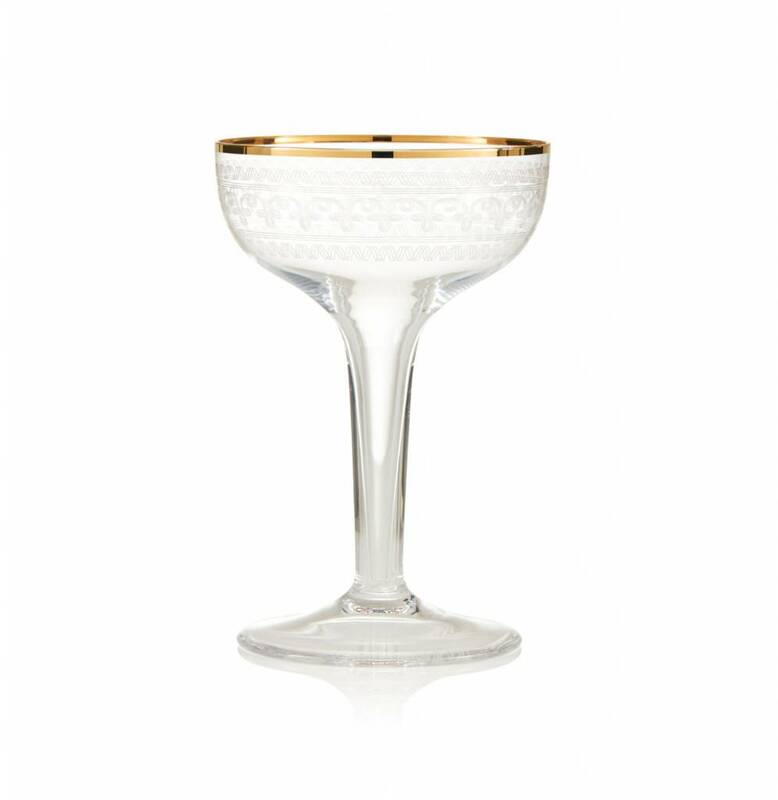 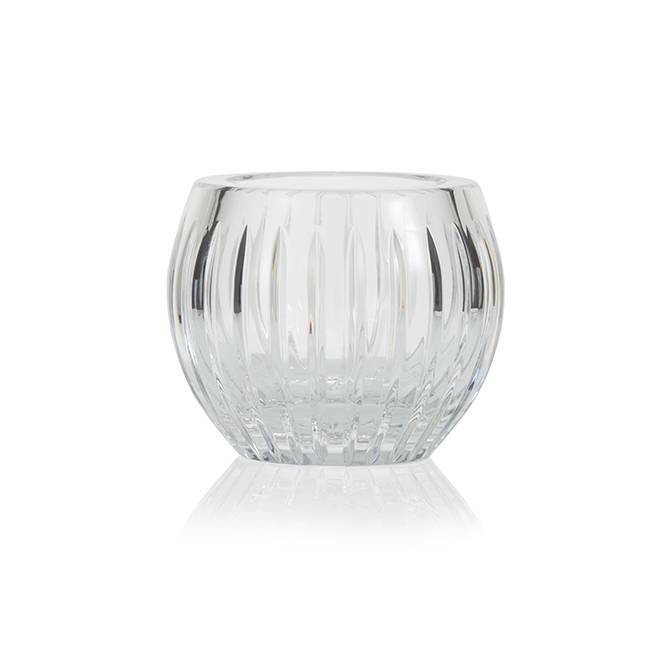 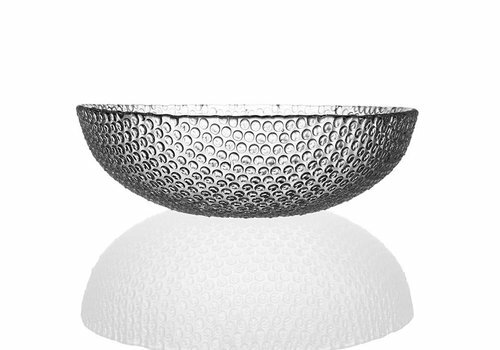 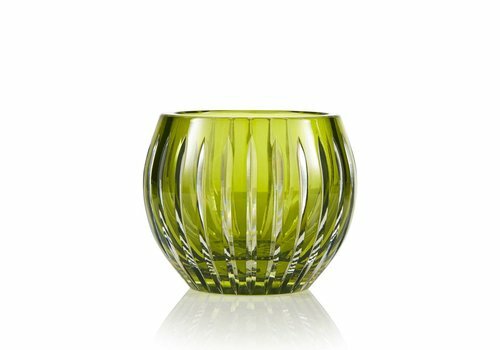 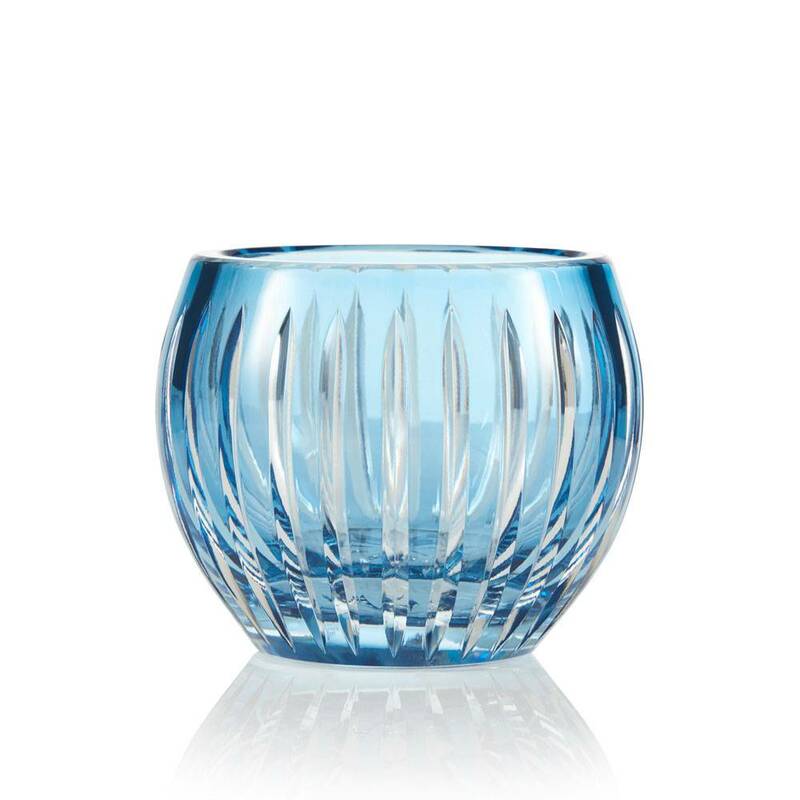 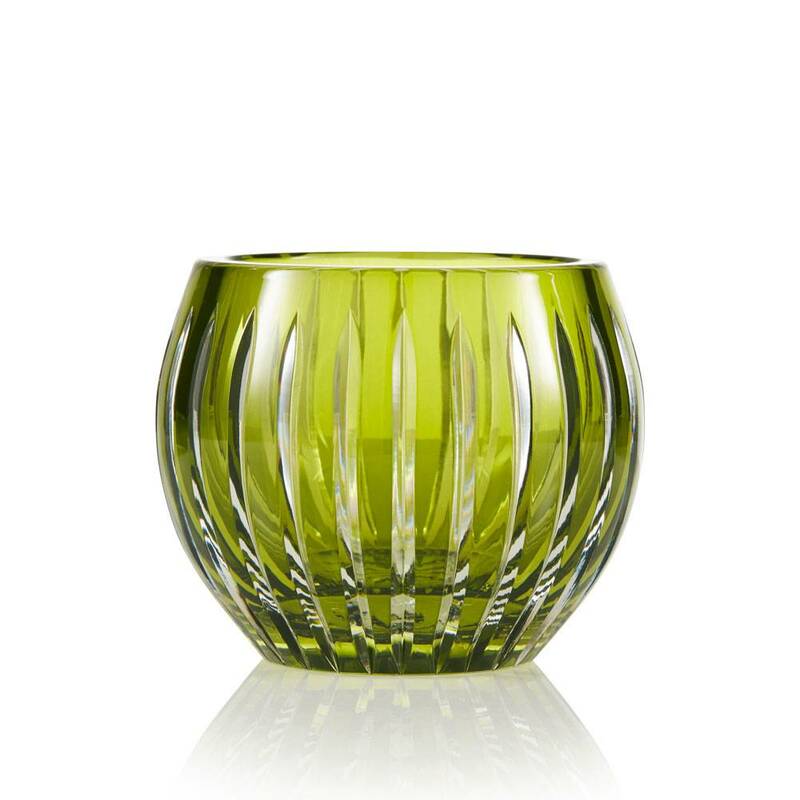 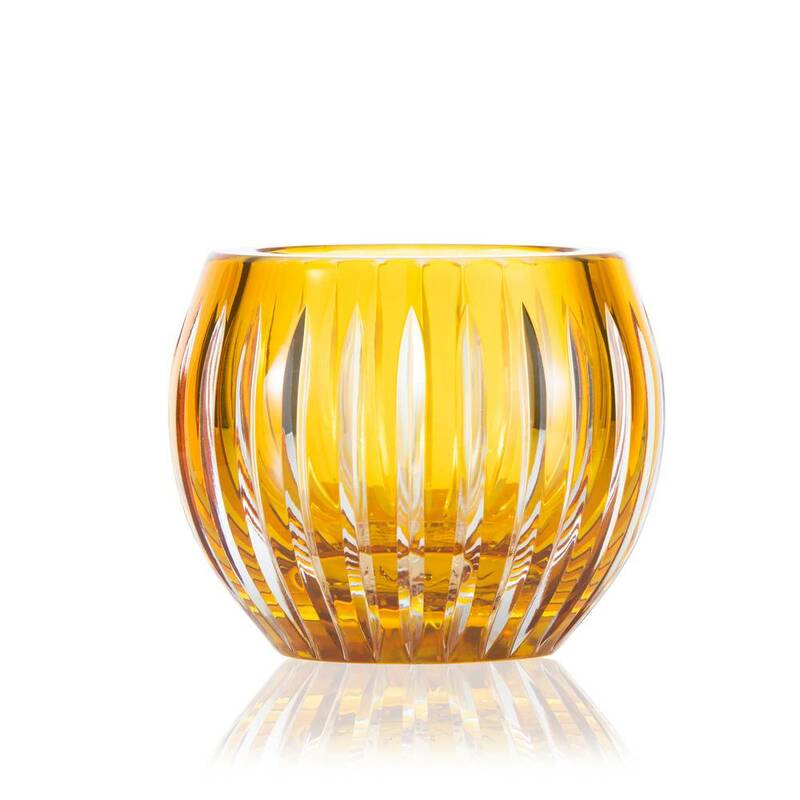 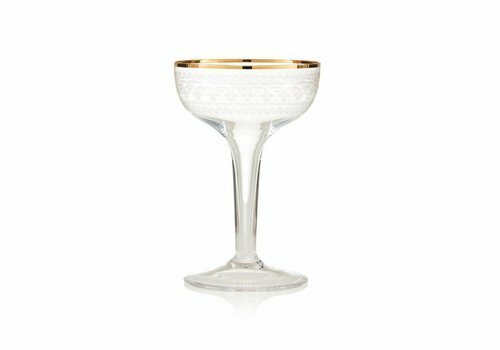 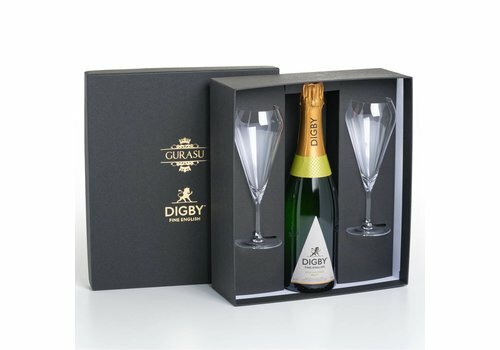 Inspired by the antique glass, the delicate coupe has a hollow stem, engraved bowl and a delicate gold rim. 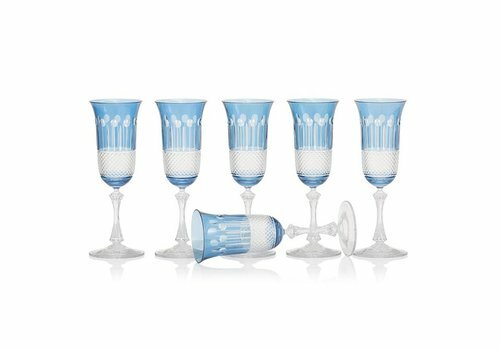 Set of six sky blue wine colored crystal glasses. 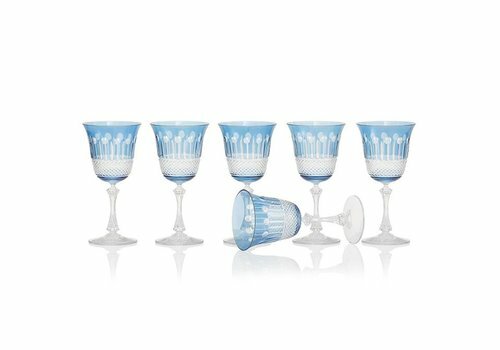 Representing handmade, 24% lead crystal, these powder blue glasses will accessorize both traditional and modern interiors and will be the desired choice as a wedding gift. 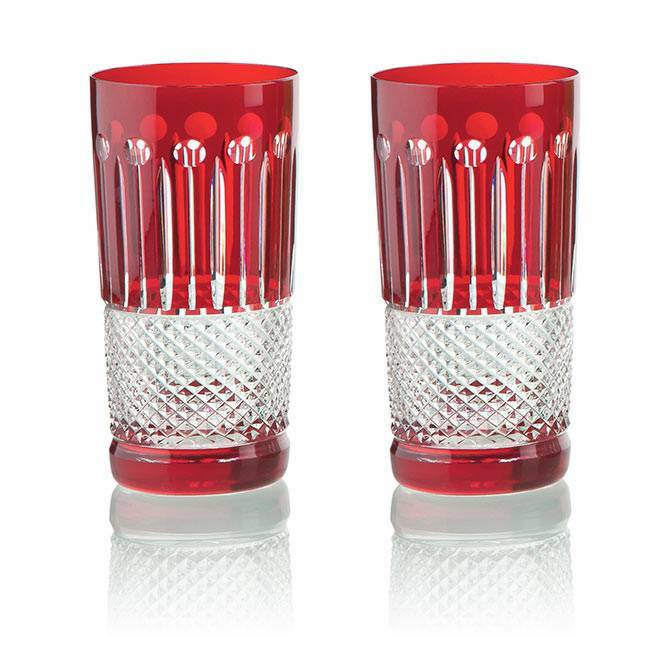 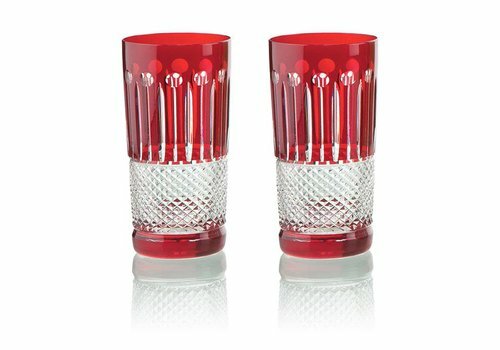 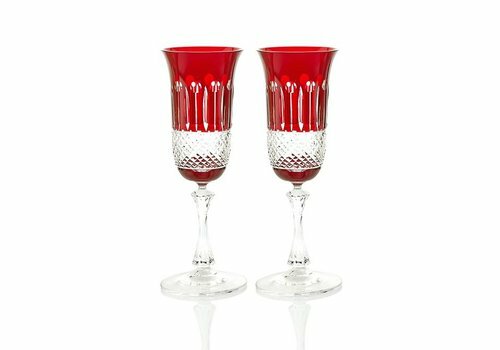 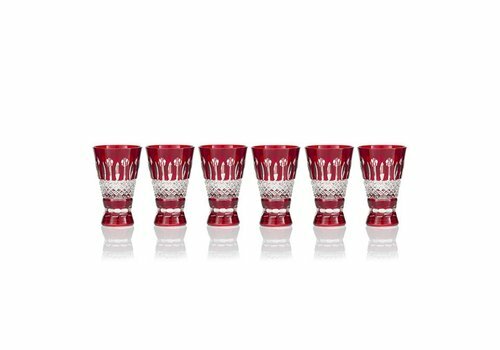 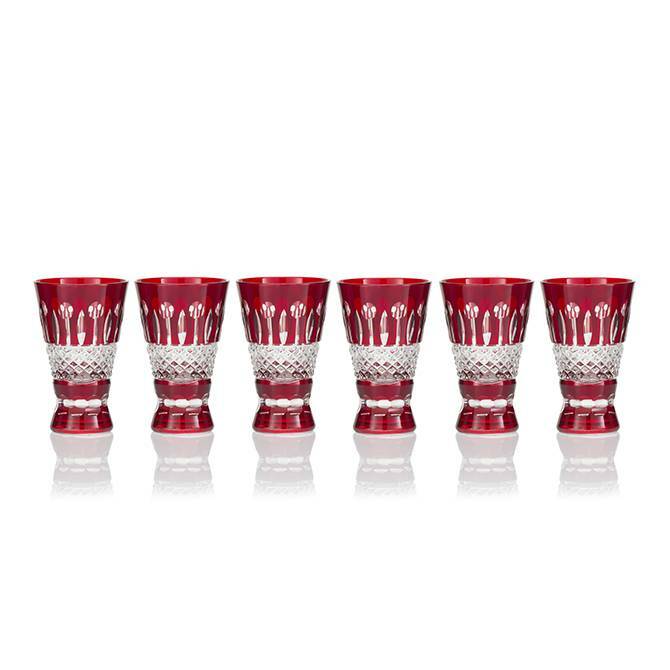 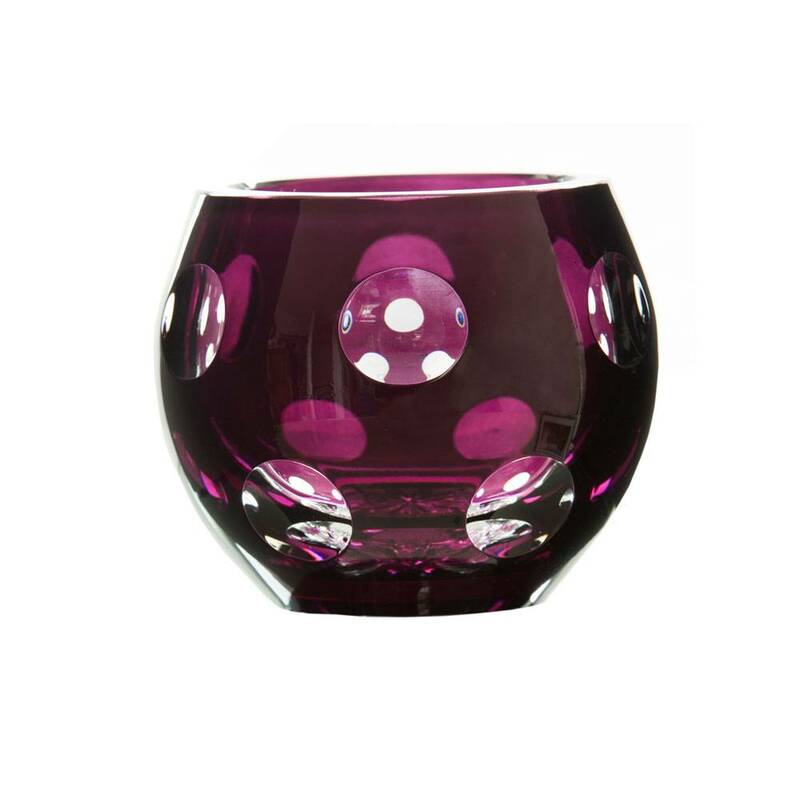 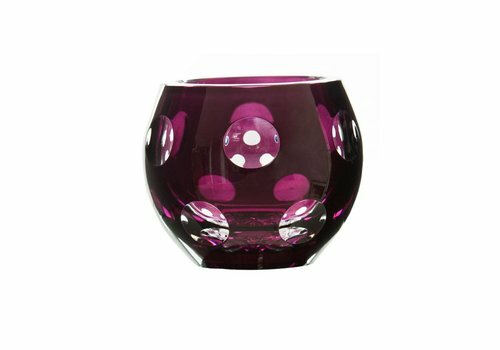 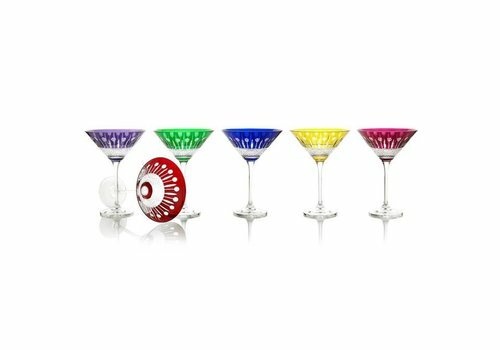 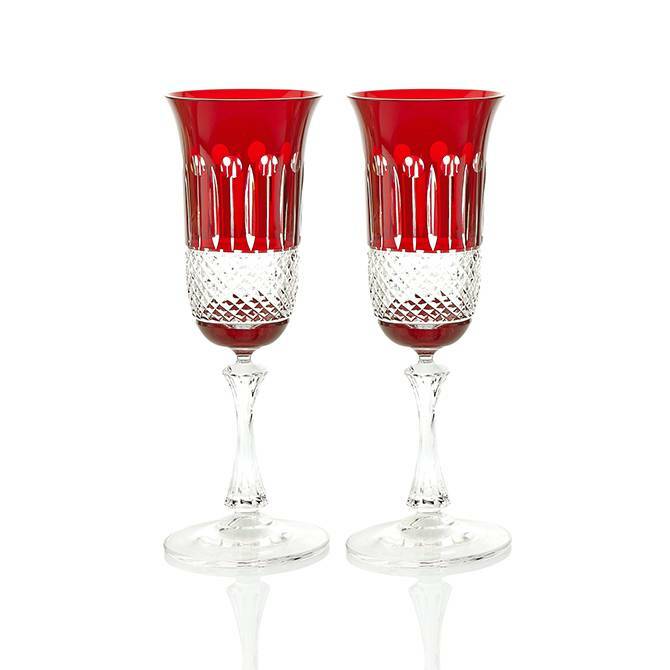 These red wine crystal glasses in a mix of six colors, interplay between proportion, weight, and size. 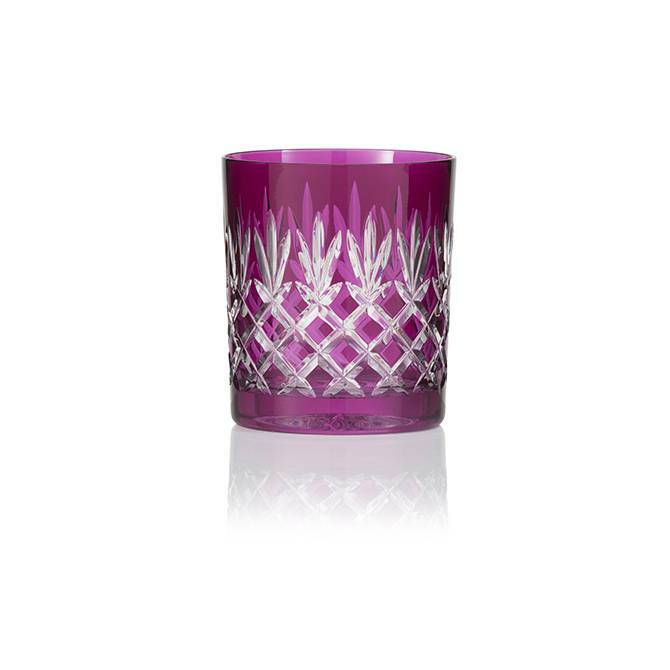 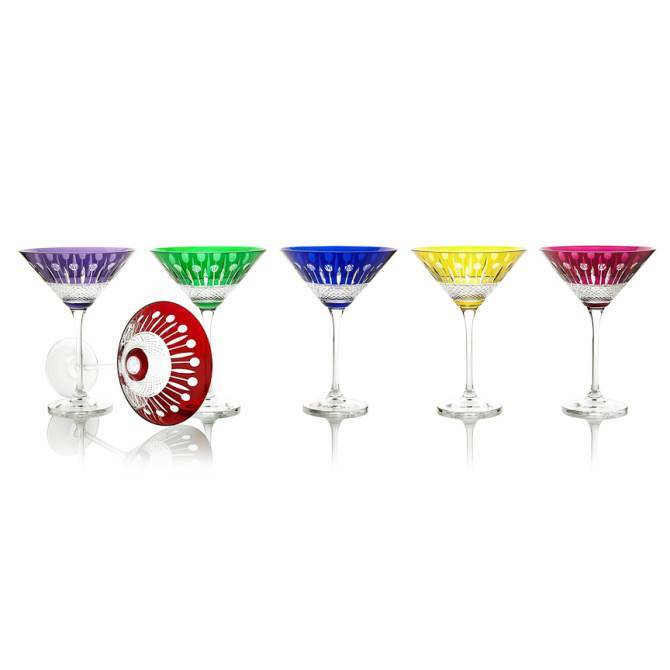 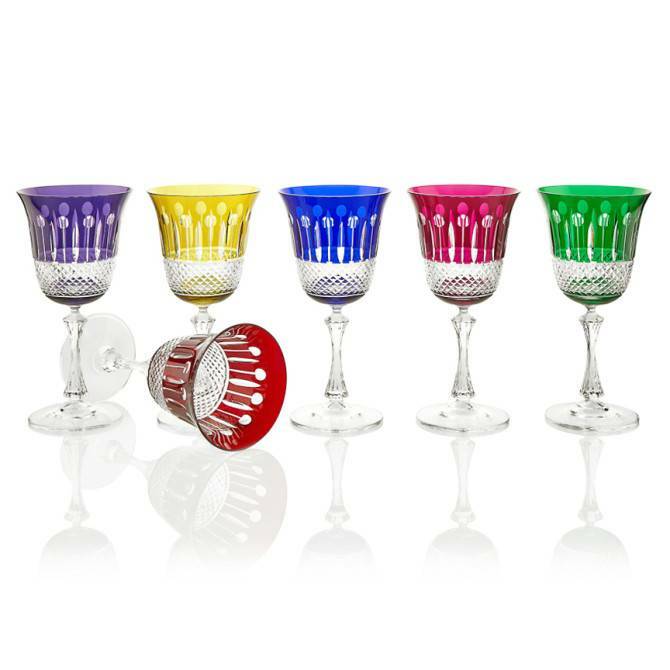 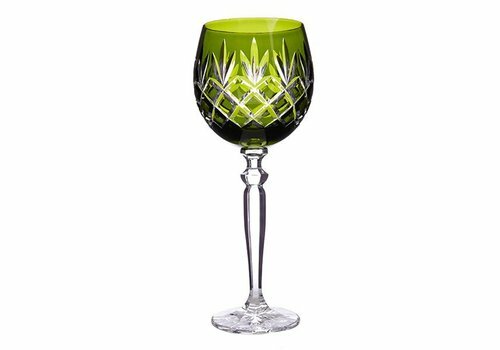 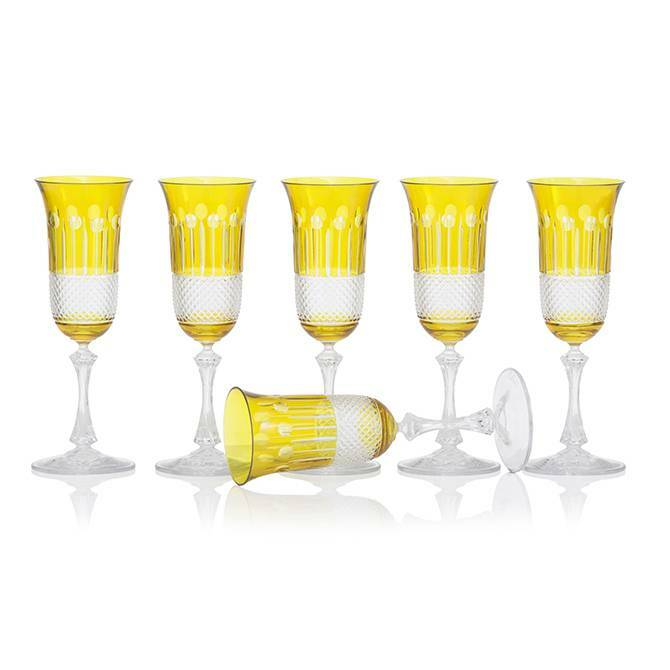 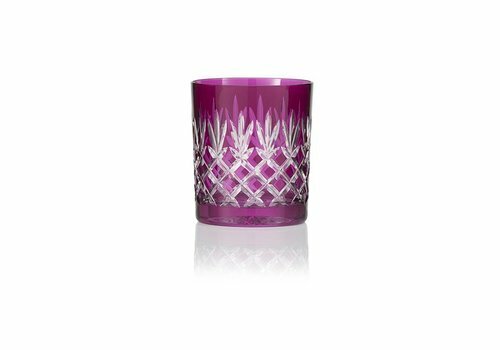 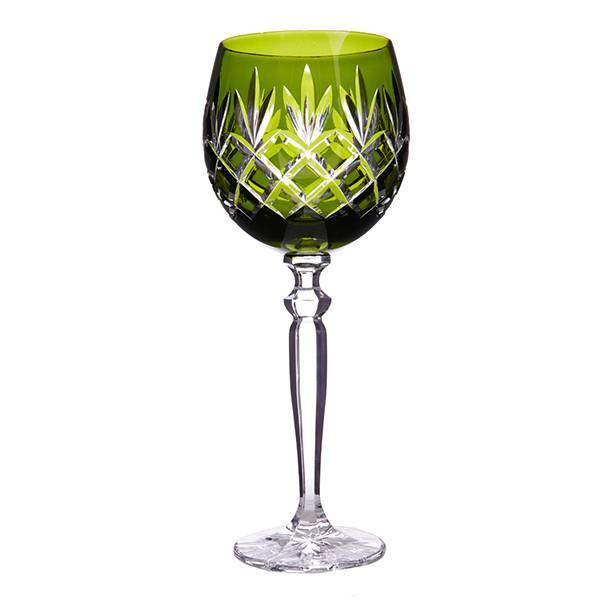 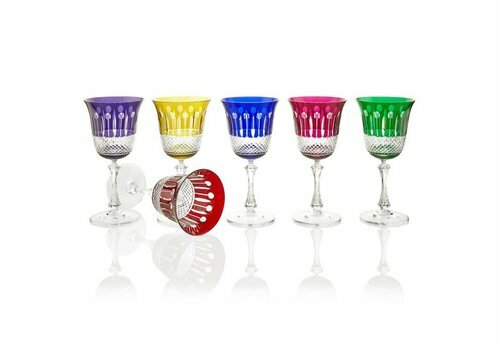 Representing handmade, 24% lead crystal these colored wine glasses will make a luxurious gift. 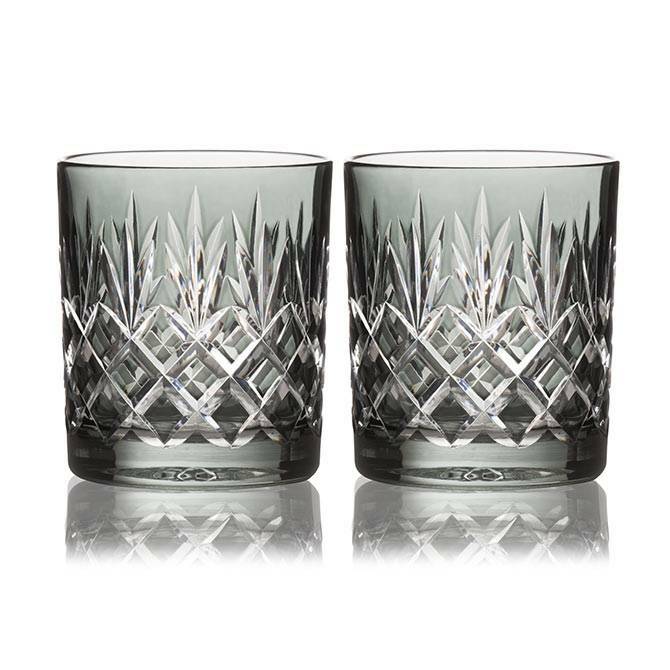 The winning traditional cut of a diamond and wedge represents the classic pattern, hand cut crystal combined with a splash of modern smoke color. 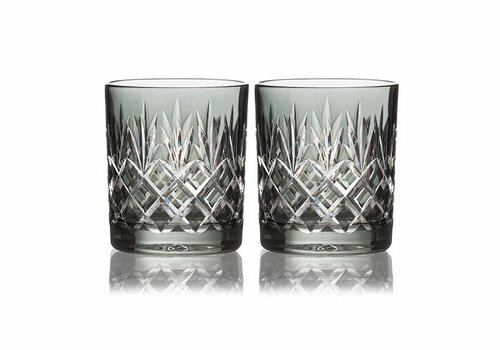 The favorite glass of a gentleman. 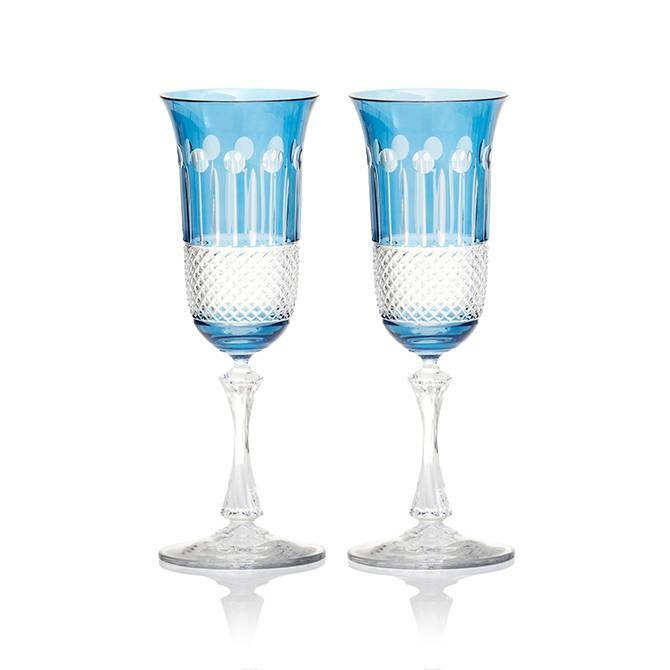 The winning traditional cut of a diamond and wedge represents the classic combined with a splash of modern color. 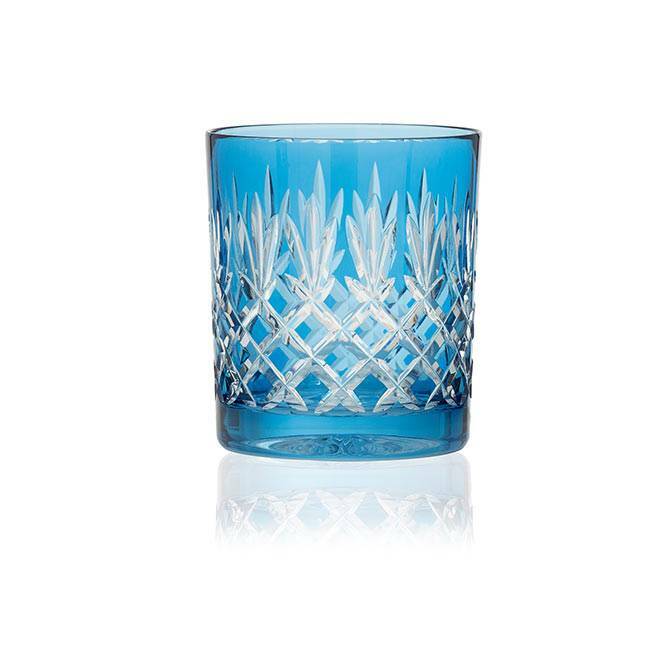 Eclectic and eccentric the devil lies in a contemporary sky blue hue. 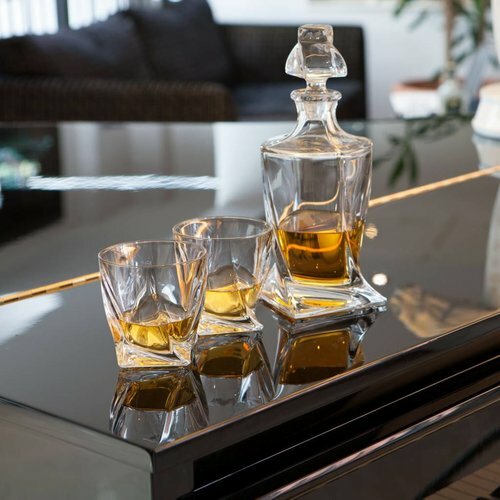 Suitable for water and spirits such as whiskey. 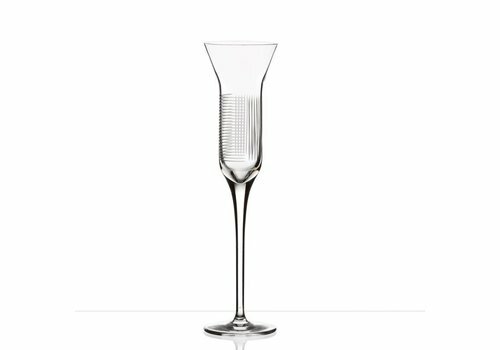 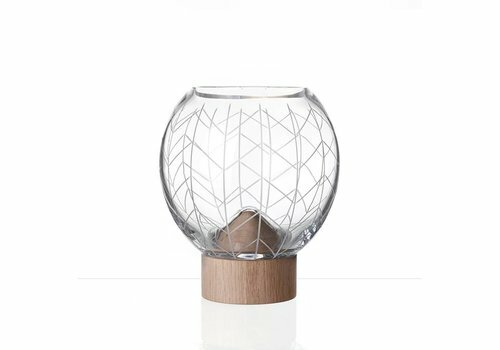 These contemporary glasses are mouth-blown by our craftsmen and refined to perfection on Bomma’s proprietary cutting robots. 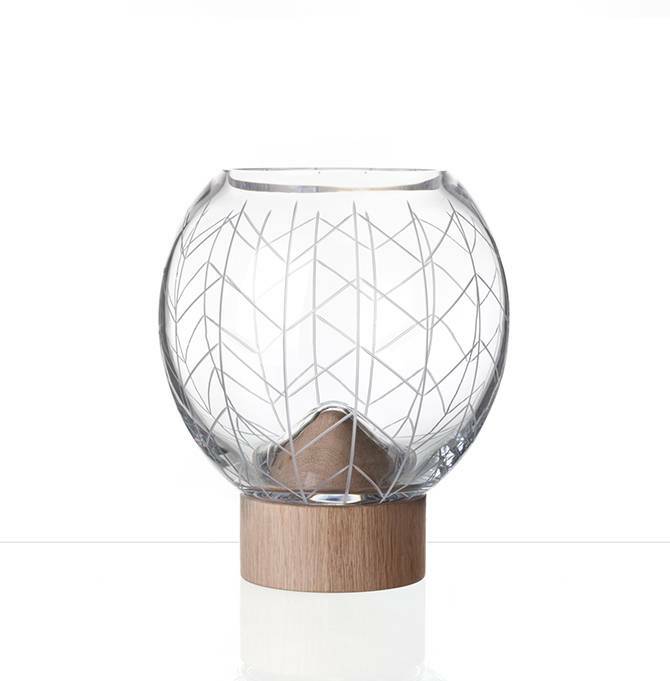 The fine vertical and horizontal lines create a cross effect. 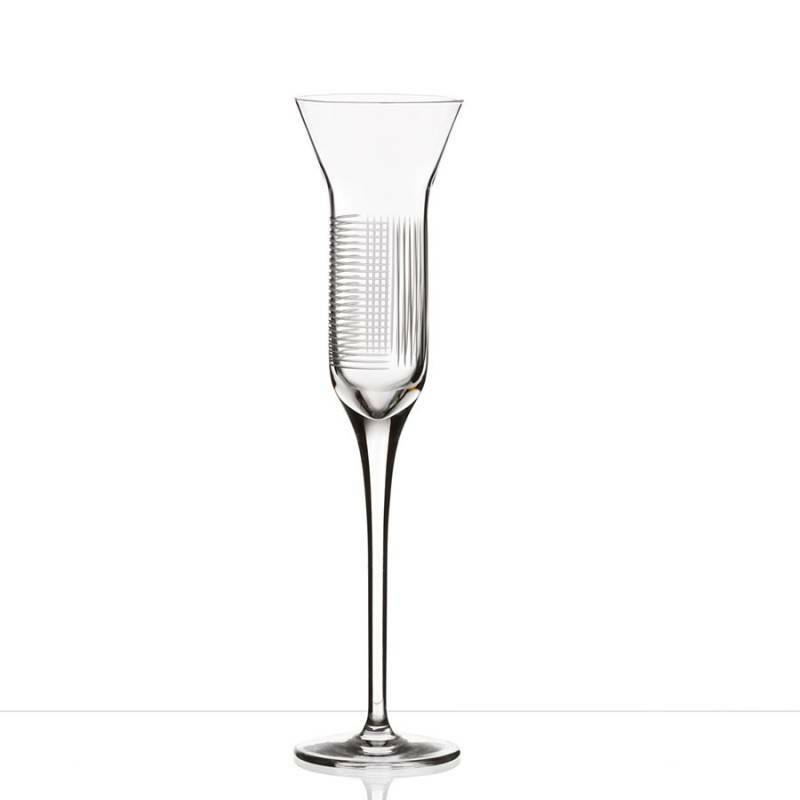 A truly design-led, elegant look. 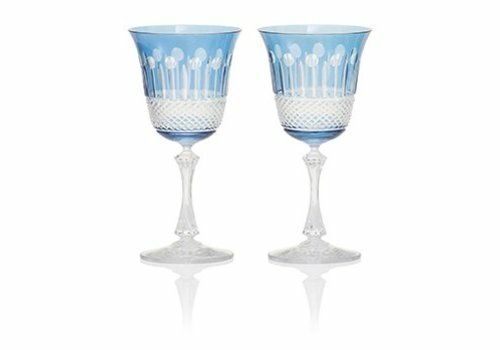 Unique, handcrafted wedding gift ideas to commemorate a special day. 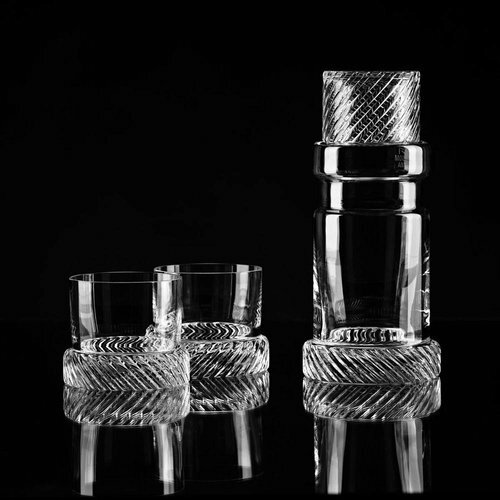 Shop luxury glassware, opulent decanters and special table decorations for the luxury home.